Anvil started life as a request on Detailing World, to make a wax which had superb clarity and gloss to suit metallic paint - this was a world first, no other options were available at the time. Our recipe book contains notes on every blend we have made over the last 8 years. This allows us to delve in and find the oils and waxes which match the request...exactly, plus we keep in depth notes on the specific oils and waxes to ensure that the final blend is what is required. Once we have identified the ideal blend, we collate the ingredients and start with a prototype, the prototype provides a real life example of how the oils and waxes work together. Then we can tweak the recipe so that it performs exactly as it's required. Most car wax is too opaque, which is why there is a lack of flake. At Mitchell and King we can create the same warmth, but we have utilised specific oils with superb clarity so that you get a super flake pop! A customer has submitted the image below to show the quality of finish that Anvil provides. Anvil is the perfect wax for any car which has metallic paint. It offers you great flake pop and super wetness. Anvil is a natural colour so as not to impede the natural ingredients and to ensure the optimum clarity on your paint. Blended from a collection of high clarity oils and low colour waxes to guarantee the finish is as crisp and transparent as possible. Apply to the whole car and allow to cure for upto 30 minutes, our waxes cure hard rather than evaporate so that you get a better finish and more of the blend is left on the paint. I was looking to bring out the metallic flake on a new 2018 vehicle of mine. I learnt of M&K waxes by way of the Detailing World website. Not by someone's word of mouth or a recommendation from a detailer. I liked what was being offered and the approach M&K had towards their product line. Anvil fit my need and was first applied using only one application. The feeling I perceived was a thicker finish when buffed off. I liked the thicker feeling of more wax protecting my paint. I plan to do a better application using Pure and will layer Anvil when weather permits, for a more quality shine. I'm satisfied knowing the shell is being better taken care of using this wax. 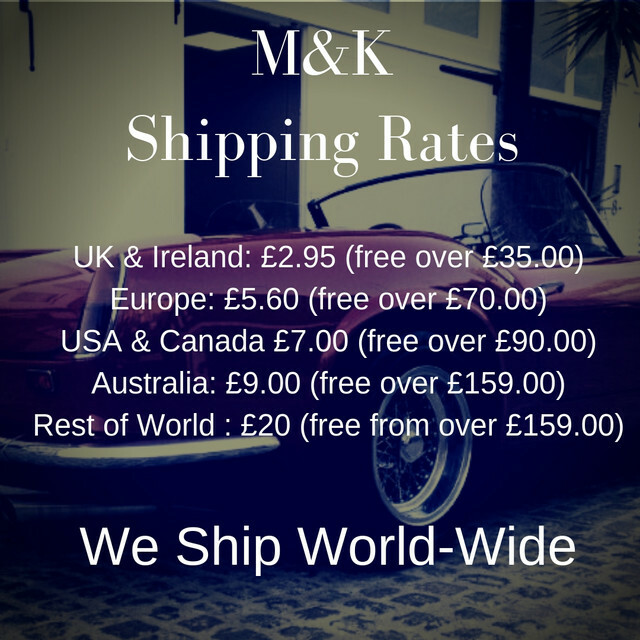 Is M&K my Achilles heel in waxes? I'll let you know. First time to use anvil on mine car. I put on 3 layers. When the sun hits the car the flakes in the paint pop. Great clear wax. After machine polishing and an application of Pure I treated my metallic Flame Red paintwork to two coats of Anvil. Applied with a M&K microfibre applicator, buffed off with ease. All I can say is that it looks absolutely sensational, very glossy with great depth, but most of all, the flake pop is fantastic. Flame Red is a lovely colour and Anvil has really bought out the flake in the paintwork. After spending a few days polishing my car Anvil was the LSP of choice. The first application was left to cure on the whole car for about 15 minutes before being buffed off. After about an hour a second application was left for a few minutes per panel before being buffed off. With each method the wax buffed off easily even in direct sunlight. The finish is simply stunning, the flake pop is amazing and there is a real depth to the paint.